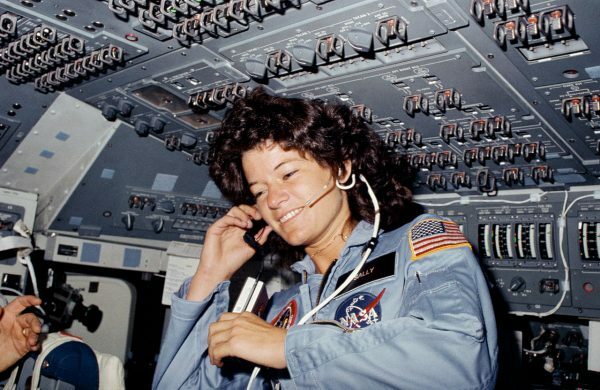 On 18 June 1983, 32-year-old Sally Ride became America’s first female astronaut to go to space, the third woman in history to go to space, the first known LGBT astronaut to go to space and she remains the youngest American who has gone to space. Dr. Ride, studied at Stanford University and earned bachelor’s degrees in physics and English in 1973 (her specialty was Shakespeare), a master’s degree in physics in 1975 and a Ph.D. in astrophysics in 1978. 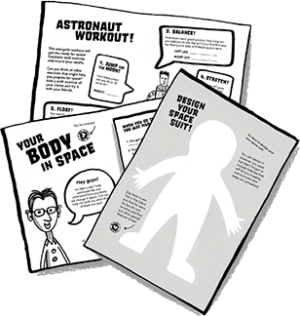 She responded to an advertisement in a student newspaper, along with 8000 other applicants, calling for recruits to NASA’s space program. She made the cut with 6 other women and began her training at NASA which included parachute jumping, water survival, flying jet planes, weightlessness and the huge G-forces of a rocket launch. She also helped in the development of a robotic arm for the space shuttle and once in space for the STS-7 mission Ride also became the first woman to use the robot arm in space and the first to use the arm to retrieve a satellite. In 1984 Dr. Ride went to space on a second mission—STS 41-G—which lasted 8 days, bringing her total time in space to over 343 hours. She was scheduled for a third mission before NASA’s Challenger Space Shuttle blew up just 73 seconds after launch. 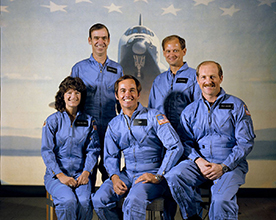 The STS 41-G mission was cancelled immediately and Ride retired the following year but not before being appointed a member of the investigative team looking into why the Challenger disaster occurred. 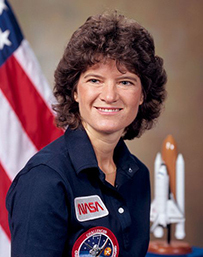 Sadly, Sally Ride passed away in 2012 after a battle with pancreatic cancer, though her life and work continue to be recognised posthumously. She was awarded the Presidential Medal of Freedom, The Space Foundation’s 2013 General James E. Hill Lifetime Space Achievement Award for her contributions to space exploration. Also in 2013 Sally was named a Stanford Engineering Hero by the Stanford School of Engineering, an honour granted to Stanford scientists who have benefitted humanity through science and engineering. In 2014, Sally was inducted to the International Pioneer Hall of Fame by Women in Aviation, International (WAI).